When we worked at Amazon in Campbellsville Kentucky last fall, Diana and I mentioned to each other how great the area would be to visit without the work obligations. Keeping that in mind, we set out to do just that this year. There were several places we had yet to visit in the area, plus we had some friends we wanted to see. 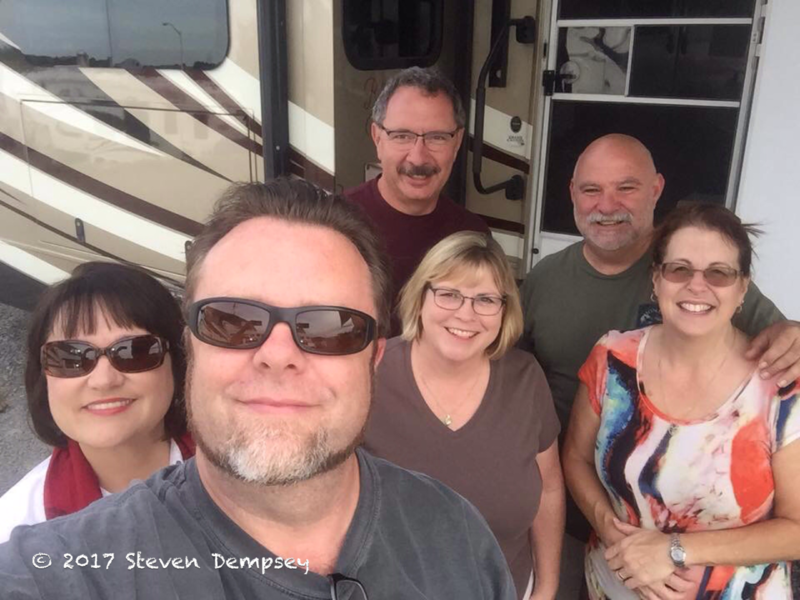 We pulled into Three Springs RV Resort in nearby Columbia early on Saturday, October 21. That was the campground we stayed at while we were working last year. We chose to return for the resort’s peaceful setting, plus Greg and Nevis are really nice people. We were able to catch up with them for a few minutes before heading off to visit our friends. On Sunday, we set out to visit several sites we missed last year. Our tour took us north to Bardstown, then meandered down through Hodgenville and back to Campbellsville. The route was over Kentucky’s famous backroads, which are quite often too narrow for two passing vehicles. However, they do feature state-of-the-art rumble strips on their three inch wide shoulders. Closest we can figure, they are there to notify the driver that they have left the roadway and are hopelessly dropping into the ditch. 😉 But…. …the land the roads traverse is absolutely gorgeous! Autumn certainly is a beautiful time to be in Kentucky. Our first stop of the day was My Old Kentucky Home State Park in Bardstown. Built in 1795 for John Rowan, a prominent judge and U.S. Congressman, the home was originally named Federal Hill. Mr. Rowan’s cousin was composer Stephen Foster, who was a frequent visitor. 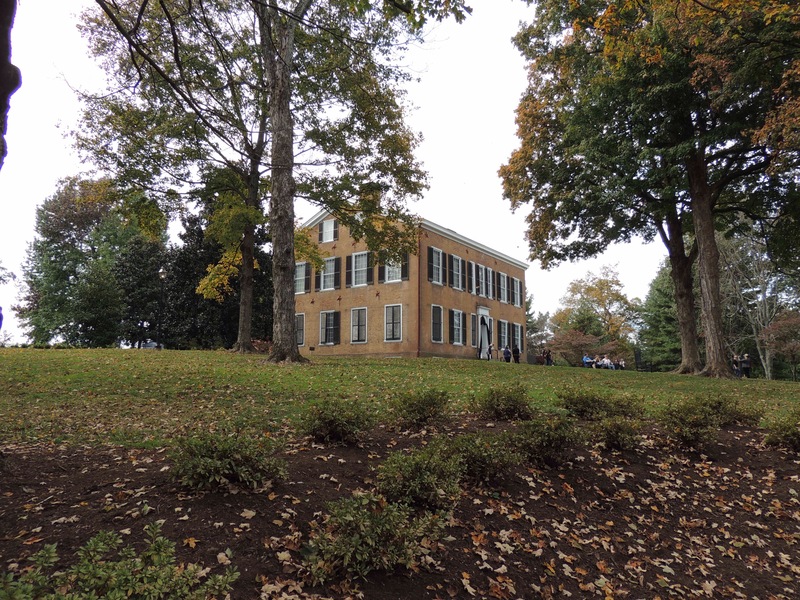 The estate was the inspiration for Foster’s ballad My Old Kentucky Home, Good Night, which was written in the mid 1800’s. The home was passed through several generations before being purchased by the Commenwealth of Kentucky in 1923 to preserve its’ history. The tune itself was adopted as Kentucky’s state song in 1928. Our tour was conducted by guides dressed in period attire, with this gentleman singing his rendition of the song in a beautiful tenor voice. No photography is allowed inside the home, so we aren’t able to show the mostly original furnishings and artwork that reside there. With Halloween approaching, the current tour theme dealt with the 19th century death customs. It was interesting to learn how people grieved back then, as compared to now. We thoroughly enjoyed our visit to My Old Kentucky Home State Park! 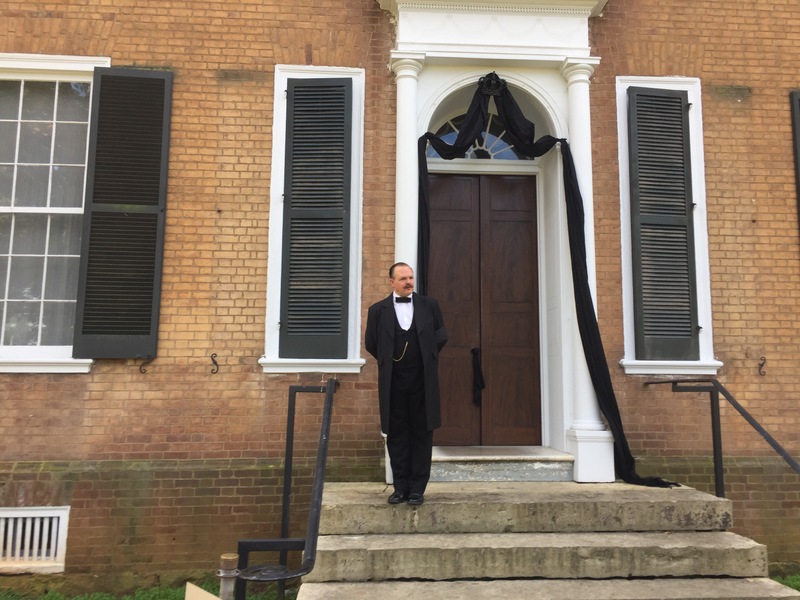 Our next stops were devoted to the early life of our 16th president, Abraham Lincoln. 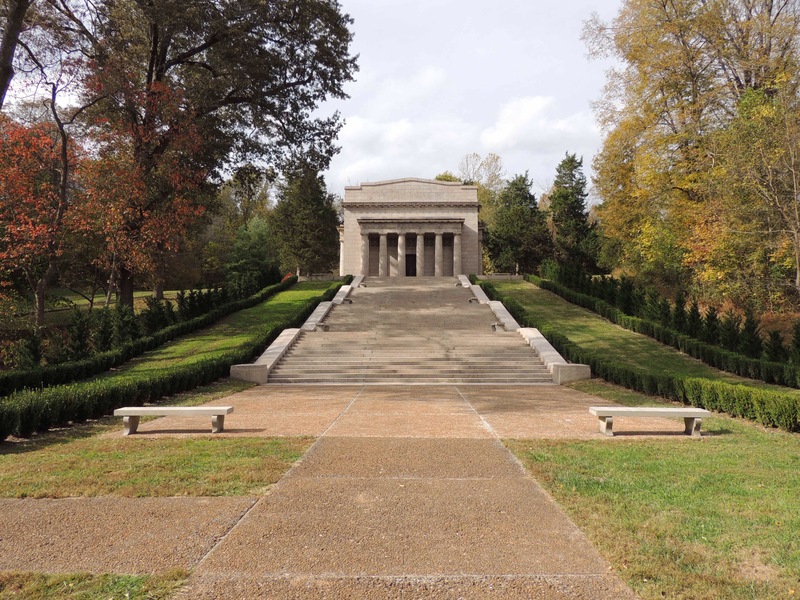 While most people associate Illinois as Lincoln’s home, it is Kentucky where Lincoln spent his first years. The first place we toured was his boyhood home at Knob Creek. 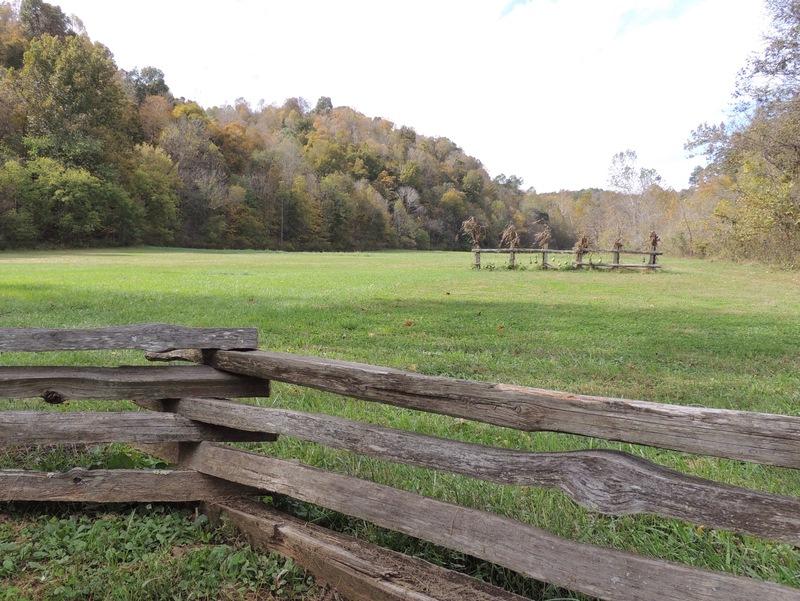 Located along the Old Cumberland Trail (now US-31), this farm was where Lincoln lived from age two to age seven. This cabin is actually the home of his friend Austin Gollaher. It was moved to this location to show what the Lincoln home would have looked like. 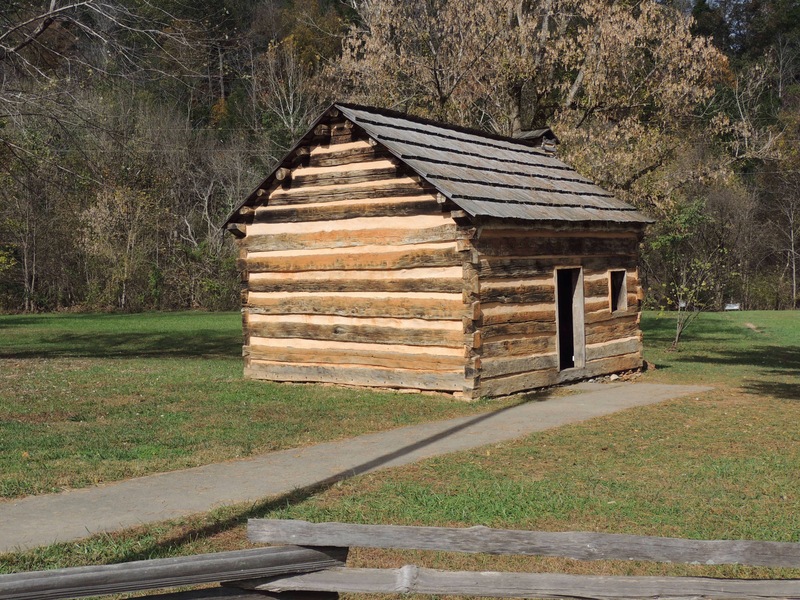 After the Lincolns left, Gollaher used the wood from the Lincoln cabin to build a horse stable. In the distance behind the cabin, a sign denotes the spot where Austin saved young Abe from drowning when the two boys attempted to cross the swollen creek by jumping from rock to rock. When Lincoln slipped and fell, Gollaher extended a tree branch to him and pulled him to safety. From Knob Creek, we continued on to Abraham Lincoln’s birthplace. We arrived to find this Beaux-Arts neo-classical stucture sitting on the approximate location of the cabin where Lincoln was born. We ascended the fifty-six steps, with each one representing the number of years in Lincoln’s life. 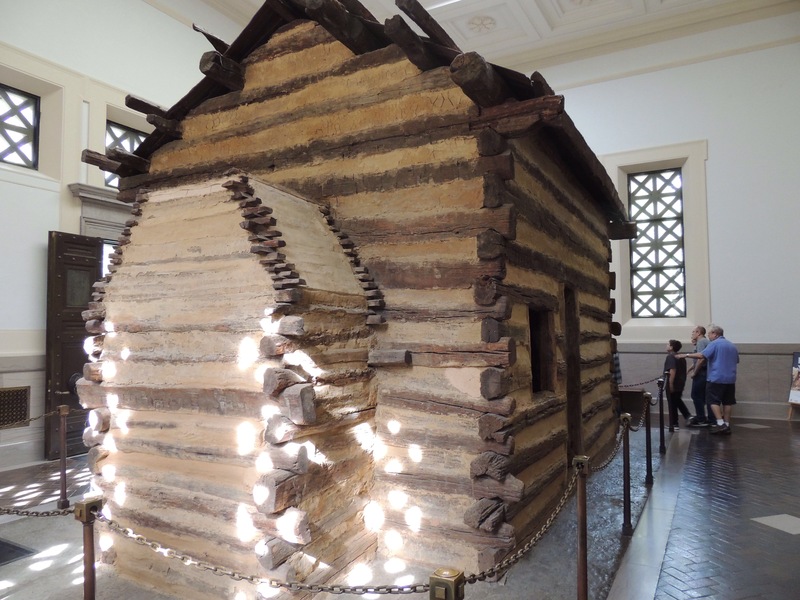 The building houses this cabin, which was at one time thought to have been reconstructed from the original Lincoln logs. It was discovered years later that this was not the case. 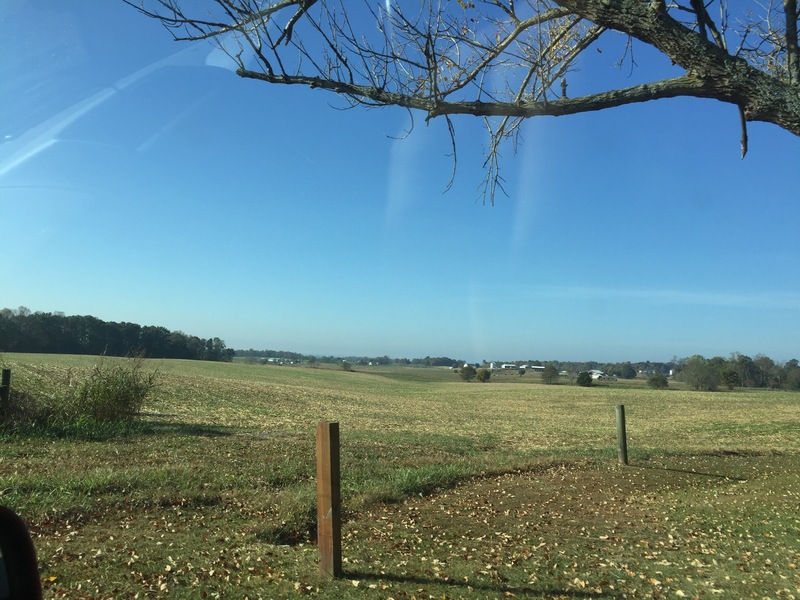 The literal historians in us were initially disappointed with this location, as very little remained of the original farm. But in the end, we saw the symbolism this place was meant to portray: it is possible to be born in a log cabin and ascend to become President of the United States. Next up, we travel to Tennessee to examine the life of country music royalty. Be sure to stay tuned for that adventure! Search here for anything imaginable on our exploRVistas Amazon link! Very nice back of the US ! 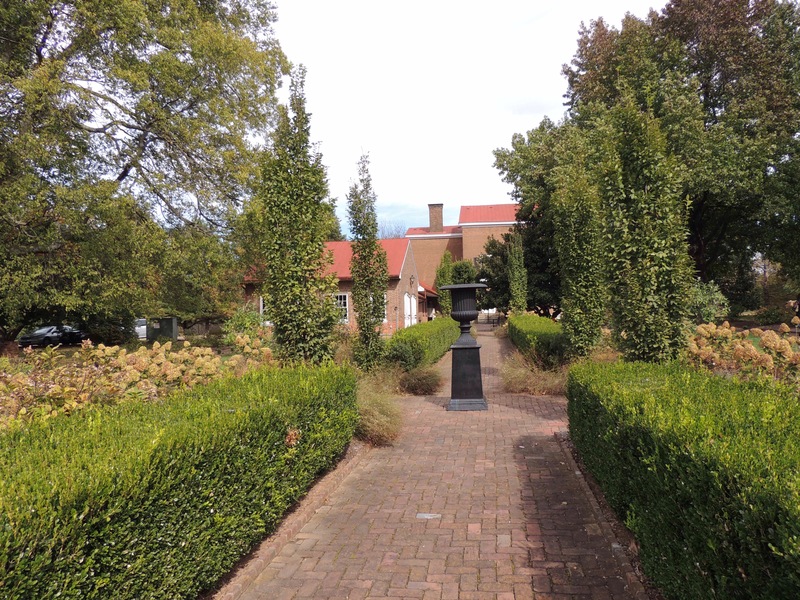 Did you get to any of the Bourbon Distilleries ? Thanks, Rick! Didn’t make it to any distilleries this time, but we hit two of them last year. As much as we love Kentucky, we will surely hit more in the future! What a beautiful time to be in Kentucky. Sounds like you are having a good time on the southward journey. Sounds like it was a great idea to return when not working to enjoy this area. There is just so much history in each little town. No doubt about that, Pam! Kentucky is chock full of history. We look forward to returning and spending a lot more time there. It’s a nice feeling to know there is still more to see in an area. We have a huge list of places that we want to return to visit again. Kentucky is a beautiful state. Yet another great taste of history. Nice that you were able to catch up with those 4, we have not seem them in quite a while ourselves! It was nice getting to spend a little time with them again, Jim. Glad we aren’t working there though! Such good memories in that beautiful area – including meeting you two the first time! Your description of those narrow roads is spot on – all that land and they can’t add a couple feet???? That area is so beautiful. Hope you guys enjoy it!